Bruker announced today the release of the new PeakForce Kelvin Probe Force Microscopy (KPFM) mode for its line of atomic force microscopes (AFMs). PeakForce KPFM utilizes frequency-modulation detection to provide the highest spatial resolution Kelvin probe data. 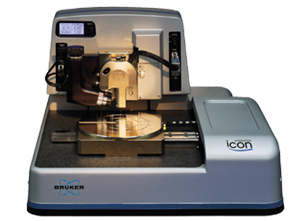 It builds on Bruker's exclusive PeakForce Tapping technology to provide directly correlated quantitative nanomechanical data, which improves the sensitivity of the frequency-modulation measurement and eliminates artifacts. In addition, PeakForce KPFM provides a completely automated parameter setup with ScanAsyst. 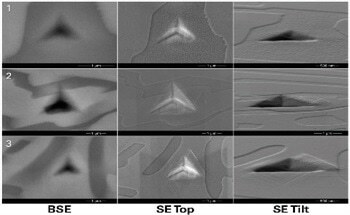 The result is a significant improvement in quantitative surface potential data for materials research as well as semiconductor applications. "Our research and industrial customers have increasing needs for quantitative nanoscale property measurements," said Mark R. Munch, Ph.D., President of Bruker Nano Surfaces Division. "Our new PeakForce KPFM mode combines leading-edge spatial resolution with unprecedented sensitivity and accuracy in work function measurements." 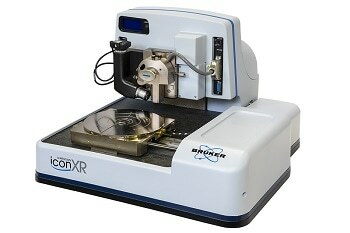 "We are committed to move AFM beyond just imaging contrast to quantitative electrical and mechanical property maps," added David V. Rossi, Executive Vice President and General Manager of Bruker's AFM Business Unit. "To enable this advance, we are building on our exclusive PeakForce Tapping technology with PeakForce QNM, PeakForce TUNA, and now PeakForce KPFM."